Zimbabwean Congress of Trade Unions (ZCTU). YOU would think the passing of icon Oliver Mtukudzi would, in some way temporarily ease tensions between the Government and Zimbabwe’s frustrated citizens, kodwa nex. The people don’t want President Emmerson Mnangangwa to use Tuku’s demise as an opportunity for politicking. The shocking news of Mtukudzi’s passing came out yesterday afternoon, whilst people were reminiscing another African great, Hugh Masekela who died the same day, a year ago. A salvo of tributes from different parts of the globe having been pouring in for the 66 year-old. Also sending his condolences or merely being diplomatic was President Mnangangwa. “Today we said goodbye to a true patriot. Oliver Mtukudzi, your voice has given us comfort during difficult times, and will remain with us for posterity. Rest in peace comrade,” read his tweet. Zimbabweans on Twitter didn’t take kindly to the President referring to the late musician as a ‘comrade’. Replying to his tweet, one Zimbabwean said “why are those who assassinated Sam Mtukudzi mourning with us today? Murderers who kill innocent people to cling on to power are here with us as Winky D is in hiding fearing for his life. 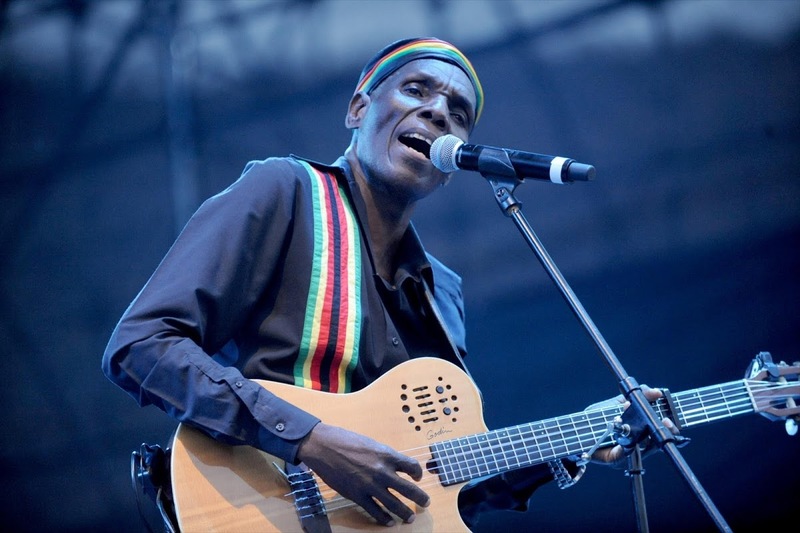 Tuku was troubled for his song Bvuma.” Sam Mtukudzi is the deceased’s son who died in a tragic accident in 2012 and Winky D is a dancehall artist from Zim, who recently became an enemy of the state after releasing a single last year titled KaSong Kejecha, which fires shots at the Government for the country’s economic woes. Mnangangwa made an early return to the country on Monday from his fund-raising trip abroad, due to the unrest in Zimbabwe. There have been ongoing anti-government protests in the country of Mtukudzi’s birth, since Mnangangwa decided to increase fuel prices. The protests snowballed into a three-day strike by the Zimbabwean Congress of Trade Unions (ZCTU). The loath that citizens of that country have for their government and ruling party is so bad they don’t want Tuku to get a national hero’s funeral. “Please don’t insult Tuku’s great work by burying him among perpetrators of the same violence and human rights abusers he sang against…Heroes Acre is nothing but a playground for Zanu PF, we all know this. Tuku deserves so much more,” one of Mtukudzi’s fans said in a tweet. “Don’t give him the heroes status…he wants peace…he can’t be buried among murderers and thieves,” read another. Tuku created a music vehicle that transports one to territories where life is a methaphor. He gave music a soul.